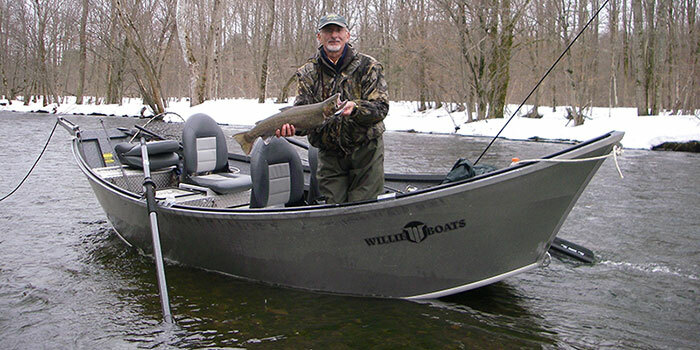 If Lake Ontario Fishing is not your thing, consider a drift trip on the Salmon River. Drift boats are designed specifically to run rivers and as such are incredibly maneuverable in mild to moderate current which will make your drift boat trip an experience to remember. Powered by only oars, drift boats allow a skilled guide the ability to accurately position the boat in a channel or tributary. The team at Orca Charters has significant experience in many areas with their boat and a long history of connecting fishermen with fish. Ready to Book? Contact us to schedule your date today!